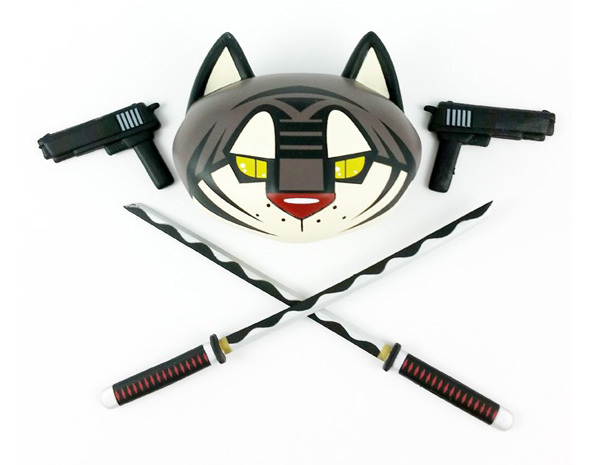 Owen Dewitt, the man who is known as Grimsheep, is finally releasing his line of tiger-edition vinyl toys through Happy Panda, just like he’s been promising since 2011. 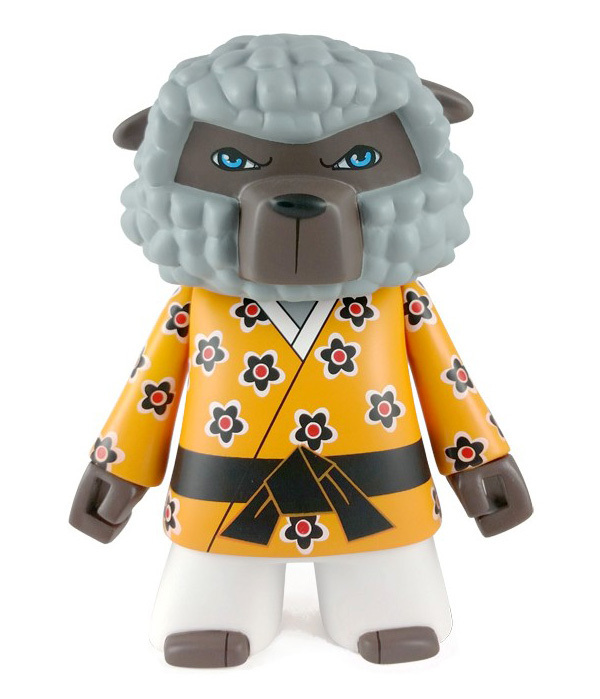 That’s years ago now, so the limited run of 100 toys will surely be gone with a quickness. 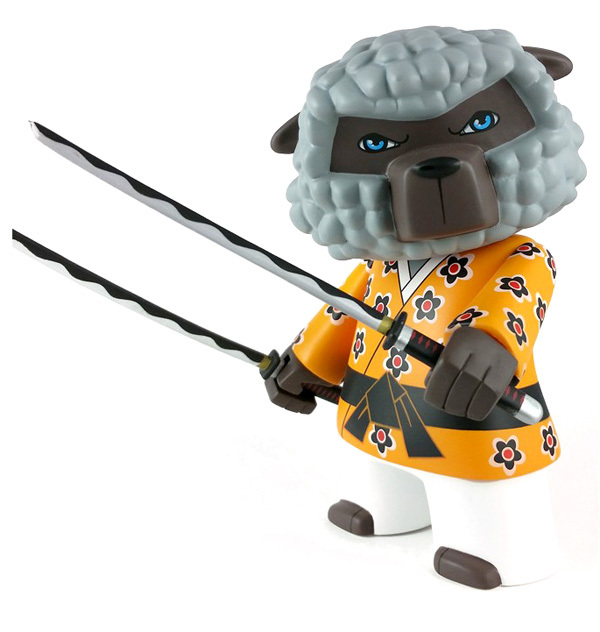 Each of the Happy Panda tiger-edition vinyl toys measure 6″ tall, comes with one body, two heads (one tiger and one sheep dome) and four weapons (two swords and two guns). 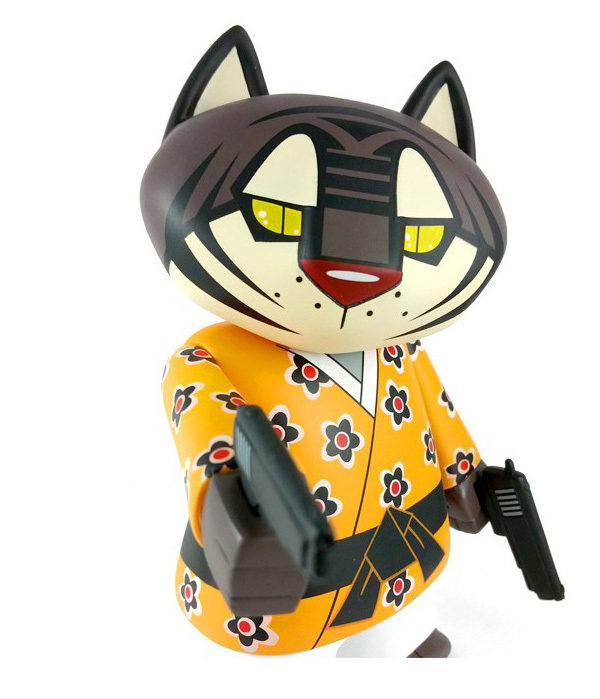 But the tiger-sheeple toy is actually just the first of Dewitt’s interchangeable-head series. Rumor has it that the next edition will hold a skeleton/panda switch option instead. But wait… so if all these toys come with some sort of species-shifting pop top, does that inevitably mean countless creature configurations with just a little twist-top action? That’s enough to get any toy collector’s head spinning, so to speak. Heads up, for $50 each.